Here are some of the resources that can help develop your business. Our online membership directory is password protected. Please contact your local office or council manager for help with access. 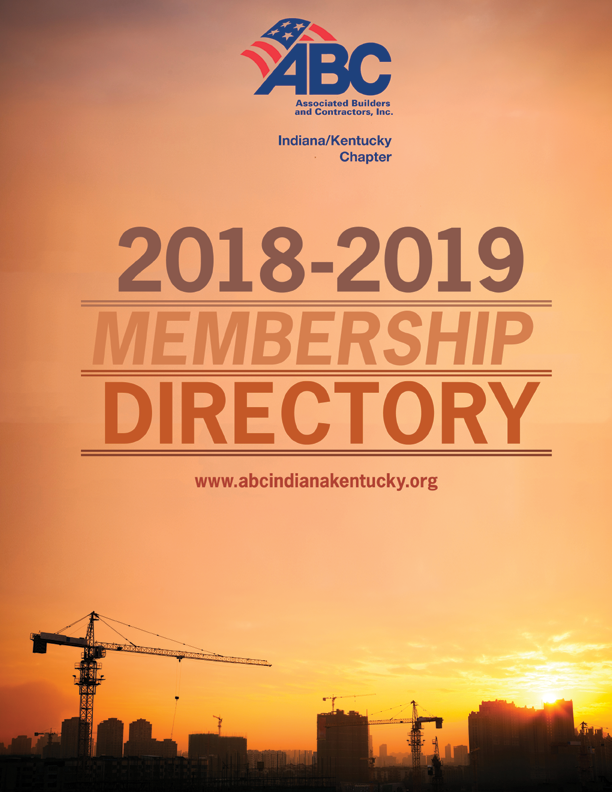 The ABC Benefits Group LLC offers a group insurance program as a service to ABC members, existing solely to enable ABC members to purchase competitive, high-quality, group insurance products. The Trust offers all members the buying power of the largest construction trade association in the state. This means lower overhead expenses, more plan flexibility, expanded administrative services, and the highest level of customer service. Trust participants have access to a complete portfolio of products and services. 13 benefit designs, in all, across a wide range of deductibles, office visit copay’s and drug cards, all of which meet or exceed Bronze-level coverage. The Trust works with our exclusive medical providers to continuously review programs, with the goal of providing the most up-to-date products, cost management techniques, and administrative efficiencies. The Trust is governed by a Board of Trustees made up of Presidents, CEOs and Executives from our partners at AIP as well as our own ABC members. It is run exclusively for the benefit of Trust plan participants. The Trust fully complies with the Employee Retirement Income Security Act (ERISA). Accident Fund Groups are great workers’ compensation programs available for small- to mid-sized businesses. Another great benefit of being an ABC member is saving on your workers’ compensation coverage through Accident Fund. ABC members can take advantage of Business Discounts with ABC’s Business Partners. Employees of member companies can also take advantage of discounts for personal use under the Employee Discounts section. Whether you have one company car or a fleet of over 100, your business can save an ongoing 5¢ per gallon on fuel with the SuperFleet Mastercard Program. Your company can save the cost of your membership dues with this program. There’s no cost to sign up – it’s free for ABC members. It’s easy to apply. Simply call 844-821-0649 to sign up today & qualify. Be sure to mention the name of our Association when you call to receive the special offer. Or call Holden Moll your USGA association rep at 760.918.5933. Enterprise offers discounts to our members for Fleet Management, Truck Rental or Business Rentals. For more information, visit efleets.com. For more information, visit enterprisetrucks.com. Known for savings, convenience and award-winning customer service. Please Contact your Council Manager to obtain the account # to receive your discount!